Sometimes the cream is worth it. Actually, in my book the cream is often worth it. However, as the January leanings towards a healthier diet continue into February, sometimes I find myself doing silly things like replacing all the cream in a recipe with low-fat buttermilk. Perhaps you have found yourself doing the same thing. In theory I think it’s a good idea. After all, low-fat buttermilk has a thick texture that is similar to cream. Unfortunately, in practice, all that missing fat is noticeably missing. I realized this recently while making a zucchini and goat cheese tart. 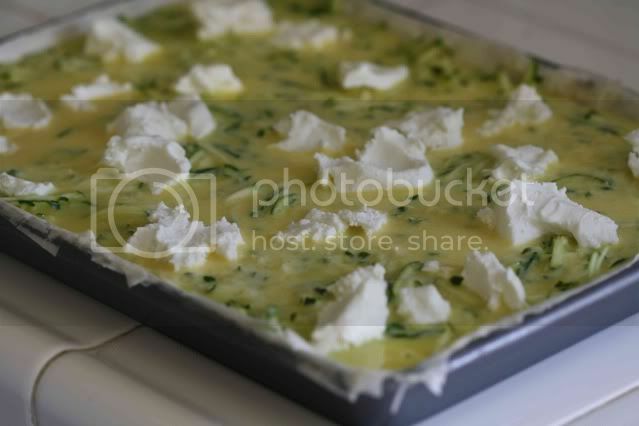 All the shredded zucchini that the recipe called for seemed too healthy to bury under a mountain of cream and frankly, I did not feel like consuming most of my daily calories in one sitting. I replaced all of the cream with low-fat buttermilk and hoped for the best. Even with the buttermilk, the tart ended up just fine. In fact, a friend who doesn’t eat a lot of rich food thought it was delicious, but for me, there was something missing (mainly all that fat). I’m including the recipe as it was originally published in the current issue of Donna Hay. The next time I make this I will likely replace some of the cream with buttermilk, probably a third at most and see if I can be satisfied with that compromise. Butter the base of a 12” x 15” pan (I ended up using a 9” x 13” brownie pan and it worked perfectly). 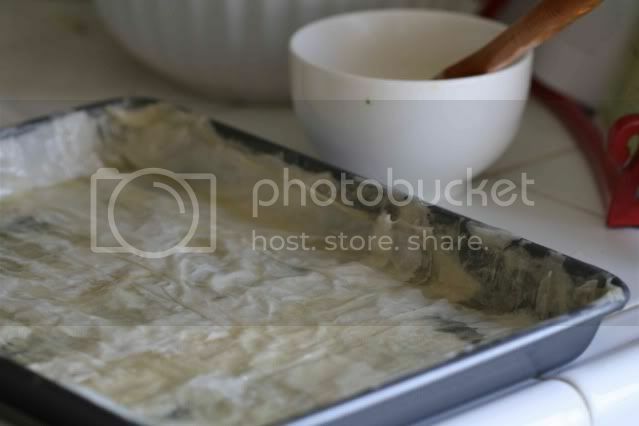 Layer the sheets of phyllo, brushing butter between each sheet. 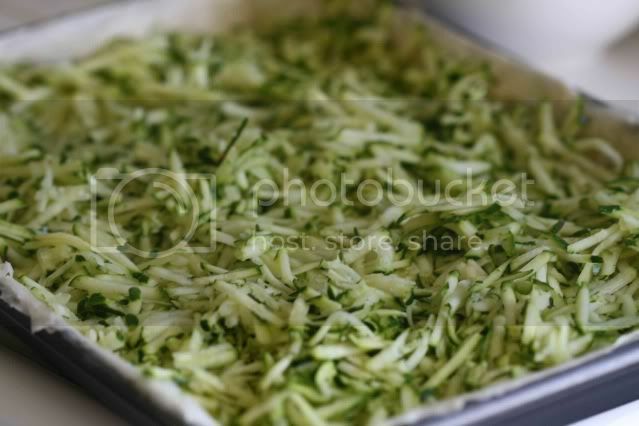 Place the grated zucchini in the pan on top of the phyllo. Lightly beat the eggs and cream together, season with salt and pepper and pour over the zucchini. 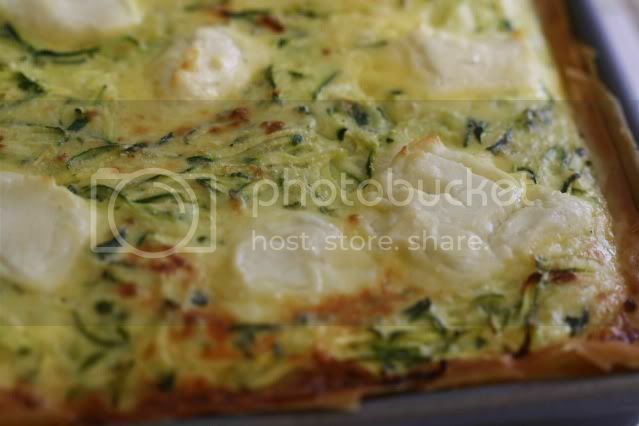 Top with spoonfuls of goat cheese and bake for 45 – 50 minutes until set. Let cool slightly before slicing. I've never tried a savory tart before. I probably should.... Anyway, I'm a huge fan of goat cheese and this looks great! I have made the same recipe from Donna's latest magazine!! I love the color on the tart around the edges. I looks gorgeous. I can see why you were tempted to substitute with this recipe -- the butter/egg/cheese/cream combo is pretty intense! But you're right, sometimes you have to bite the bullet :-) Let us know how the 1/3 sub works! Making this tonight! I'm so excited!! Looks beautiful. I often feel the same way when I make changes. Other people don't necessarily notice but I do. Mmm, I totally understand. I prefer to eat less of something that has lots of fat in it than more of something that's lacking in fat ;-) That look delicious either way though!